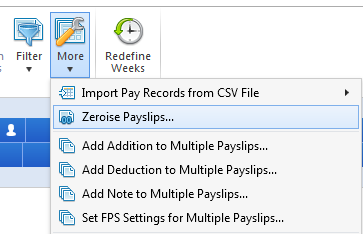 Should you wish to zeroise employee payslips in a particular pay period, this facility is available within BrightPay. 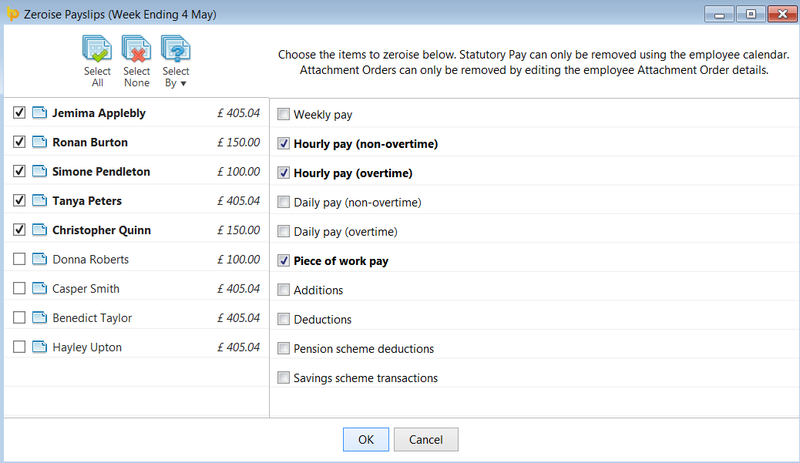 Please note: statutory pay can only be removed using the employee calendar. Attachment Orders can only be removed by editing the employee Attachment Order details.